This November, as part of our ongoing storytelling programme Litfest are delighted to welcome internationally renowned storyteller Markus Luukkonen to Lancaster! Finland is a land of endless forests and thousands of lakes. The forest is sacred, but it’s the edge of the civilized area, an unknown and frightening place. The vast wilderness has always been full of strange beings. The Devil might be lurking behind the trees; other creatures are watching from the undergrowth. Which are good and which are bad? And how can you be sure? Markus weaves these traditional tales from his native Finland with narratives from his own life. The result is a string of stories about love, about death, and about dreaming, told in Markus’ down-to-earth and dynamic style. He combines dark Finnish humour with beautiful imagery and a gentle finger on the pulse of the human condition. Markus is based in Finland, but all his career he has been worked internationally. He has performed at storytelling festivals and clubs in Belgium, Estonia, Greece, Germany, Italy, The Netherlands, Norway, Slovenia, Spain, Sweden and the United Kingdom. 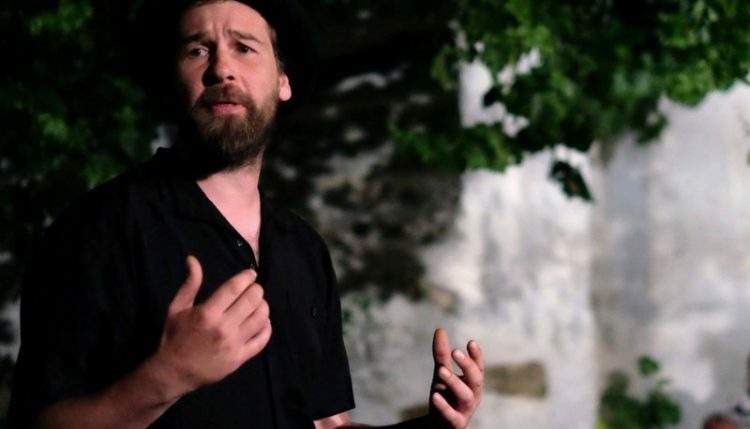 A member of the Executive Committee of the Federation for European Storytelling for three years, he has recently also been touring with the international storytelling company 3Troubadours. in 2008-2009 Markus traveled over land and sea from Helsinki to Uluru in Australia. He spent nearly two years on the road, and he collected and wrote stories from places he visited. Through Autumn 2016 Markus is working as an artist-in-residence in Edinburgh.